You Tube Clip: Islamic China-Yinchuan, Ningxia. Location : 38°28′ North 106°16′ East. Surface Area: 9,527.31 Square Kilometer. City Prefecture of Yinchuan - 9,527.31 Square Kilometers of which 1667 Square Kilometers is counted as urban area. 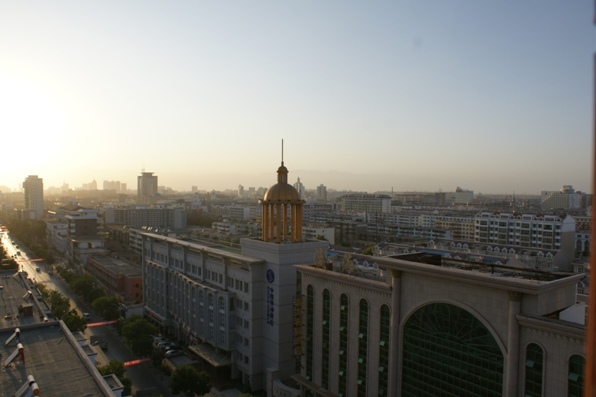 Yinchuan's three central districts cover around 100 Square Kilometers. Population: The Total Urban Population of Yinchuan City used to be around 1 million persons, however, among due to special child birth rights for the Hui Minority, during recent years the population of Ningxia Region and its Capital have exploded. Currently around 1.65 million Chinese Citizens live in Yinchuan of which some 800.000 live within the three Central Urban Districts of the City. A new wave of modern development is currently underway in- and around Yinchuan, with hypermodern apartments arising around the city, a new sports-stadium and facilities for various schools under construction. Retaining its few but magnificent ancient cultural sites and bedressing them successfully with a renewed layer of glamour and splendor, Yinchuan is one of the few Chinese Cities that feel completely modern yet fully incorporate the magnificence of the Old Chinese Traditions. Especially in the so-called Old City live can be good and comfortable, with a lively atmosphere, plenty of fresh foods, modern stores, services and products, small and stylish parks and some Impressive well-preserved historic landmarks. With full right, Yinchuan is listed as one of the 10 most comfortable cities for living within the Nation. The Main landmarks within suburban districts of Yinchuan are: the Drum Tower, the City Mosque or Nanguan Mosque, the North Pagoda and Temple (Haibao Ta) which are situated 2 kilometers outside of the Old Town proper and The Ningxia Provincial Museum with exhibitions on both the long history of the region and the details and riches of the Hui Ethnic Culture. Near the New City of Yinchuan and the Railway a recent addition opened its doors in 2008; the Ningxia Transportation Museum which is dedicated to the History and influence of the Baotou to Lanzhou Railroad. The Jian Hu and also Zhongshan Park with its Jade Spring (Yin Hu) offer great places to enjoy some of the city greenery and Chinese garden architecture. Outside of Yinchuan Aiyihe Water Park offers more greenery and watery wonders. The One national urban wetland park in Ningxia is the Baohu National Urban Wetland Park at Yinchuan and although located outside of the Old Town proper in Yongning County the Najiahu Mosque could be counted as the final treasure of the Old Town as it is one of the largest and oldest mosques in Ningxia Region. It has a typical courtyard with a gatehouse, a large prayer hall, wing-rooms and bathrooms. The spacious hall can hold one thousand people. Among the Tourist attractions of Yinchuan may also be counted the Changqing Amusement Park and adjacent Xia Xia Movie and Television City, eventhough these are located far outside of Town, part of Lihezhen Village on the Eastern bank of the Yellow River and North of Hedong Airport. In 2006, satellite images indicated that a 700 by 200-meter fenced area within Ningxia—5 km southwest of Yinchuan, near the remote village of Huangyangtan—is a near-exact 1:500 scale terrain model reproduction of a 450 by 350-kilometer area of 'Aksai Chin' bordering India, complete with mountains, valleys, lakes and hills. Its purpose is as yet unknown. A Full listing of Yinchuan City Landmarks, Monuments, Hotspots and other sites of importance in alphabetical order. Search through the list to find your Full Report and Photo-Virtual Tour of each monument or landmark within the City, or Region of Yinchuan in Ningxia Hui AR of China (PRC). The Main Railway Station of the City (Yinchuan Zhan) is located in the New City (Xin Cheng) some 8 kilometers due West of the Old City. As the arrival point for many, the Main Station is home to a number of essential Services and is surrounded by several Hotels and good restaurants. As is the New Airport ! Yinchuan has a Railroad Station as well as a National Airport, named Hedong. The City is connected to other provinces by modern highways. The easiest route in is by aircraft due to the enormous distances involved. Travel Time by Taxi between the Old and New City is about 20 minutes. and the Zhongbao Railway (Zhongwei in Ningxia Province to Baoji in Shaanxi Province) several new railway lines connect with all Cities and Towns in Ningxia as well as main Cities in the neighboring Provinces of Shaanxi and Gansu. One can easily reach Yinchuan by road. Currently there is the fully modern Yingzang Expressway leading from Baotou all the Way to South-Western Ningxia Province and several national highways leading to all parts of the Autonomous Region and Beyond. More than 125 kilometers (about 78 miles) of expressways within the boundaries of the city including its ring road known as the Yinchuan Raocheng expressway. Read Full Details in: 'Transportation in & around Yinchuan'. Yinchuan Hedong National Airport lies due East of Yinchuan Old & New City on the opposite side of the Yellow River. A secondary airport near Yinchuan - Helan Shan airfield is not in use for public purposes. 1112 m.
During both the Shang Dynasty Era (1766 BC - 1121 BC) and the Zhou Dynasty Era the Ningxia plain of the yellow river were already inhabited but not settled. The humans living in the region were likely hunter gatherers and later Nomadic Tribes. These ancient cultures left their traces in primitive rock drawings and carvings which can be found spread throughout the Helan Shan mountain range some 50 kilometers and more West of Town. The name of the first City on this location near the Yellow River was historically Ningxia Fu. However in modern Times the City was designated as Yinchuan which literally means "silver river". This name of course refers directly to the waters of the Yellow River, which calm and slow flowing in the Ningxia (or Yinchuan) Plain reflects the moon and stars at night like it is a large silver mirror. (The character for "river" is the same as that in Sichuan, but not as those in Huang He (Yellow River) or Chang Jiang). Xingqing District (兴庆区), Jinfeng District (金凤区), Xixia District (西夏区), Lingwu City (灵武市), Yongning County (永宁县) and Helan County (贺兰县). Full Google Map of Yinchuan, Capital of Ningxia Hui Autonomous Region of China. 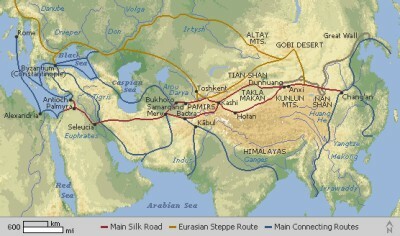 Rough Schematic Depiction of the Trans-Eurasian Trade Routes that later became known as the Silk Road. The first Routes to the West were opened during the Han Dynasty Era (206 BC -220 AD). Yinchuan, as does most of the Ningxia Autonomous Region, has a temperate continental climate with an annual average temperature of 8.5 Celcius (Range: 5-10 Celcius), and has 158 frost-free days per year. Yinchuan has less precipitation than the southern parts of Ningxia AR and sees only some 200mm (8 inches) of rain per year. That is not very much and thus agriculture in the regions depends entirely on the waters of the yellow river and some smaller mountain springs and aquifers. Temperatures in Ningxia and Yinchuan range from an annual average maximum of 27 °Celsius (80 °F) to an annual average minimum of 14 °Celsius (7 °F). Seasonal extreme temperatures can reach 39° Celsius in summer and -30° Celsius in winter. The Temperature difference between night and daytime in summer is 17° C (on average). illustration, during the wettest summer in 60 years (2010) Yinchuan saw rainfall at only 2 times during the entire period. In early June and again in the very beginning of August. The total amount that had fallen evaporated in the 27 Degrees Celcius heat within half an hour. It is said that Yinchuan has four distinct seasons with long and cold winter, short and hot summer, warm spring and cool autumn. Ningxia Region boasts of no less than 300 days of wind power per year, which means things can get dusty. Dust storms arise mainly from the West in Inner-Mongolia where the Hei River Basin and Minqin River and Lake are drying out. Dust storms are most frequent between March and early May, but may arise at any time even in fall. Prolonged periods of drought since 2002 AD have increased the frequency of dust storms. Find the center of Ethnic Cultures and Daily Life within Ningxia's Capital Yinchuan at the South Gate (Nanguan) Mosque. Most information directly refers those interested to the Ningxia Provincial Museum, a treasure trove of Hui Cultural displays. Although no longer the dominant Ethnic Group in their own autonomous region, Hui dress and culture, although modernized, can be spotted anywhere in Town, especially at the Market and the Mosque. Travel to Yinchuan during one of the Religious Festivals to enjoy more. Enjoy the two main national tunes of the Hui Ethnic group throughout the City of Yinchuan in various settings. The songs “Hui Nationality Flower” and “Kouxian” are heard throughout the city, either as background music or as part of one of the many performances in one of the Hotels. Both songs deeply reflect the specific folk style of the Western Hui. Circulating around the northwest area in china “Hui Nationality Flower”, a folk song, is sonorous and mellifluous in melody, simple and fresh in lyric. Deeply enjoyed by Hui women, the song “Kouxian” (Kou’er) is delicated and played on a miniature plucked instrument. Yinchuan South Gate Square is the best place to go and watch one of the colorful ethnic performances. The Yuhuang Pavilion hosts evening performances of various nature throughout the summer months. Yinchuan South Gate Square has held a great number of large-scale art and cultural activities and may be regarded as the Cultural Center of the Hui Nation. The renowned local dishes or snacks of Islamic flavor are the Yangrou Paomo and Shouzhua Yangrou. 'Eight Treasures Tea' is the traditionally prefered Tea of the Hui Muslims in Ningxia. The Rice of Ningxia is nationally famous as Ningxia Pearl Rice and was a tribute item to the Imperial Court during the Ching Dynasty Era. Hotels in Yinchuan should be divided between those within the Old City (Lao Cheng) and those in the New City (Xin Cheng). Make your choice depending on your travel itenerary and mode of transportation. Most Tourist take up Hotel inside the Old City as it is nearest the airport and home to most Town shops, restaurants and scenic sites. If you intend to travel into Inner-Mongolia using long distance Buses, the Old City is your best choice as the Bus Station is nearby. Those who arriving by Train may want to stay close to the Main Train Station which stands at the center of the New City. From your Hotel catch the train easily to Baotou in Inner-Mongolia, Lanzhou the Capital of Gansu Province or Wuwei, ancient Silk Road City in Gansu Province. Among the Best Hotels in the Old City is the 5 Star 'International Hotel' which has a quiet environment, excellent staff and is conveniently located left and adjacent of the Yinchuan Entertainment Palace where many shows can be witnessed. Others are Kaida Hotel (4 Star) and the 3 Star 'Era Mansion Hotel' which is situated very near Yinchuan's landmark Drum Tower and Yuhuang Pavillion. Ningxia Apollo Hotel at No.123 Beijing Road East also goes recommended. Geographic & Historic Maps, Satellite Images and More Map material on Yinchuan City & City Prefecture, Helan Shan Mountain Range and Great Wall of China nearby. Jingzang expressway or Baotou-Lanzhou Highway) and related Regions of Ningxia Hui Autonomous Region. 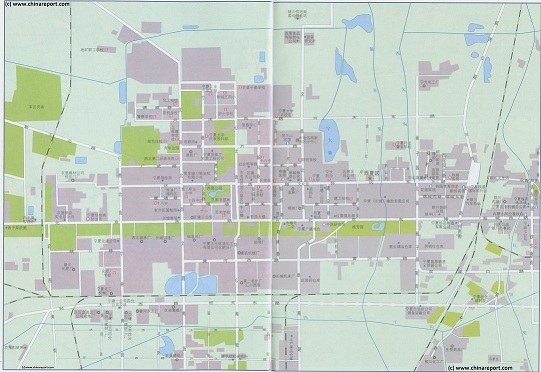 Schematic Map of Ningxia Hui Autonomous Region with the locations of Main Cities + Towns and sites of Interest. Yinchuan (银川) lies in the middle of the Yinchuan or Ningxia Plain. It is sheltered from the Gobi deserts of Inner-Mongolia Autonomous Region by the high ranges of the Helan Mountain to its west. The City does NOT lie along the Yellow River (Huang He) but the Three Central Urban Districts are located about halfway between the Yellow River and the Foothills of the Helan Shan mountain range. Helan Shan itself lies some 50 kilometers away. Located in unique favorable surroundings in an otherwise desert-like or excessively rugged terrain Yinchuan lies amidst farmlands adundantly irrigated with waters from the Yellow River. Until very recently Yinchuan was a city idealized in other parts of China and well-known for it sunny days, clear skies over lush green landscapes, abundant natural beauties, calm living and abundant harvest. However large population increases along with large scale industrial developments in the last few years have upped the pace of life in Yinchuan somewhat. Its clear blue skies are now increasingly polluted, although in comparison to other parts of China Yinchuan is still an Oasis of fresh air. In its 2200 years of history Yinchuan was a remote agricultural colony first. When after colonization the region became an important grain and rice production area for the Nation it became a distant Capital and Military stronghold. The Central district of Yinchuan itself should be considered the Jinfeng District. Xixia District lies immediately West of the Jinfeng District, whereas Xingqing District lies due East of Jinfeng District. Helan County District used to be a separate village altogether but is now rapidly being absorbed into the larger suburban area of Yinchuan. Find Helan County as the North-Eastern District of the City at about 2 kilometers North of Xingqing District. It is connected to the Central City by a road that has grown into a new suburban neighborhood that goes by the name of Manchunxiang. Helan District is also connected to the Yinchuan Ring Road also known as Raocheng Expressway. The Yongning County District lies entirely separate from Yinchuan's three central districts, at some kilometers distance southward along G 109 National Road and the larger and more modern Jingzang Expressway. In 1986 AD Yinchuan was designated by State Council as a state cultural and historical city. 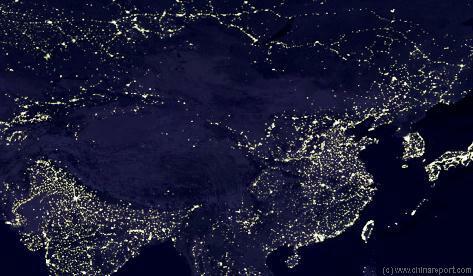 A Satellite Image overview of The peoples Republic of China showing Yinchuan and nearby Tows as a sea of light marking the Yellow River south of the Gobi Desert. Yinchuan is described by almost all visiting Tourist as surprisingly clean, freshly renovated, well organized and pleasant to stay. Apart from the various tourist landmarks to visit, there is plenty of entertainment around Town. Shops stay open late and the tree and flower lined main streets of the Old Quarter come alive in a show of lights. The major department stores and shopping centers in the City include Xinghua Shopping Centre, Yingchuan Department Store, Ningxia Hualian Commercial Building, and Yinchuan Xincheng Department Store. South Gate Square is another good location for shopping at odd hours. In the eleventh century the City was renamed Western Xia during the establishment of the Western Xia 'Dynasty' in 1038 AD. The Dynasty was founded by the local Tribal leader of a Dangxiang (Dongxiang) ethnic group and had created splendid culture as well as gorgeous architecture. Only later when Ningxia Fu (Yinchuan) became a pivotal point in the Defenses of the entire region did it become an integral part of the Imperial Machinery. Only during the Yuan Dynasty (1271 AD - 1368 AD) was Yinchuan officially raised to the Level of City (Prefecture), henceforth being named Ningxia Fu. The name Ningxia Fu stuck with the city for many centuries, lasting throughout both the Ming Dynasty (1368 AD - 1644 AD) and the Qing Dynasty (1644 AD - 1911 AD). Rough Schematic Depiction of the Ch'In Dynasty Empire (221 BC -206 AD) which for the first time colonized the Yinchuan Plain. The colony was lost and only reestablished later during the Han Dynasty (206 BC - 220 AD). the Han Dynasty (206 BC - 221 AD). During this era today's Yinchuan originated as a mere farmers village, recorded as Beidian (北典农城). The most remote place within a sprawling Empire. It was a dangerous and exposed outpost which in its first few centuries struggled for existance. Not much is known about Beidian, other than that it was established around the year 24 BC and that it was part of a county under the name of Fuping in the 1st century BC. During the Northern and Southern Dynasties period (420 AD – 581 AD) Yinchuan grew into a vital military support base, pivotal in the defense of the otherwise barren region. The city itself has a history of more than 1,300 years and was originally founded in the year 678 AD of the Tang Dynasty (618 AD - 907 AD). In that year a new district today's Xingqing District was constructed to the west of the old town (which no longer exists). The area was called Huaiyuan Town (怀远镇) during the Song Dynasty. In the year 1020 of the Song Dynasty (960 AD - 1279 AD), around the time that the Song Dynasty lost control of this region (becoming the Southern Song in 1127 AD), the new town (Today's Qingqing District) was renamed from Huaiyuan into Xinzhou (兴州), and later promoted to Xinqing Fu (prefecture) (兴庆府). However seeing the decline of Central Imperial Powers, the local Ethnic Groups saw other options. Soon after the leader of Dangxiang ethnic group (党项族), one Li Deming (李德明), moved the regional ethnic capital from Linzhou to Huayuan Town with the full intention of declaring their own independent nation, known in history as Tangut or Xi Xia (Western Xia). At the same Time other regions of North China more to the West fell under control of the so-called Jin Dynasty, established by Jurchen Tribes (,the forefathers of today's Manchu's). Soundbonus - Traditional Folk Melody 'The Black Dragonfly from the Gobi', by Altai Hangay. Cathay Khanate (China under Rule of the Mongols) renowned European traveler Marco Polo passed through West-China on his way to the Capital Khanbalik, however he did not visit Yinchuan on his route but passed more northernly, through the historic Town of Karakoram. In 1731 AD Yinchuan was hit by a magnitude 8.0 earthquake which leveled most of Town. An ensuing firestorm destroyed what was left. In and around the town of Pingluo, the location of the epicenter, the earth was literally broken open in huge cracks, breeching the Great Wall of China. In 1929 AD in the first year of the so-called Kuomintang National Government Ningxia Province was formed from parts of Gansu and Inner Mongolia, establishing Yinchuan (then Ningxia Fu) as the Capital and Administrative Center of the Region. During the early years of the Peoples' Republic of China, in 1954 AD, Ningxia was abolished entirely as a Province being divided again between Gansu province and Inner-Mongolia AR. Yinchuan itself became a city of Gansu Province. Later policies were reversed and Yinchuan once again became the capital of Ningxia following the establishment of the Ningxia Hui Autonomous Region in 1958 AD. Even in the 1940's it was known as Ningxia Fu. The City was renamed during the establishment of Ningxia Hui in 1958 AD. Until the 1950s the Yellow River could be navigated downstream as far as Baotou, well around the eastward-bend of the river in the Inner Mongolian Autonomous Region. Ships could sail upstream as far as Zhongwei and Zhongning,to which they were the only quick and viable transportation route from Yinchuan. Ships could not navigate the Qingtong Gorge a historical scenic site where the Yellow River thundered out of its last Gorge in the loess plateaux of the region, then smoothened out and calmed in sight of the green cultivated lands and the Sand dunes of the Tengger Desert (Gobi). The river-harbor of Yinchuan is Hengcheng town, located some 15 kilometers away. The port however is mainly deserted as several dams have been constructed on the Yellow River, among things inside the Qingtong (Bronze) Gorge in 1968 AD. This huge hydro-electric dam has since supplied much of the electricity to develop the region and economy. Trading ships no longer sail but have been replaced by Industrial ships moving coal or ores, tour boats and some small fishing or pleasure craft. Other sections of Yinchuan, especially the new Cities and outer suburbs are seeing the rise of modern appartment blocks and highrise towers. Yinchuan and surrounding regions are reinventing and developing themselves as prime industrial zones. Most of the industries are in mining or related chemical industries. Making full use of the natural recourses of Ningxia is essential to central Government planning and the national economy. 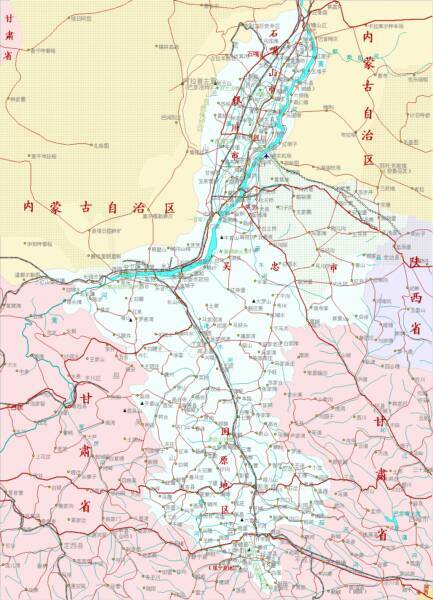 Its most recent expansion is the Yinchuan Helan Mountain Industrial Zone （賀蘭山工業區）. wind and solar energy where possible. It is also one of the national 20 or more irrigation areas with the most advanced facilities. The city's current target of construction is to build up modern city by the Great Wall binding together the three forces of the local economy; modern agriculture, national and international tourism industries and sources of modern renewable energy as the basis for its Future. nation. It is an un-inhabited and irregularly visited zone of the Desert that is ideal for such a project. To illustrate some of the progress the city of Yinchuan has made in recent years it was honored as National Water-Saving City in the Year 2006, National Garden City in 2008, was chosen as the number 1 liveable City in China in 2008. Yinchuan is the economic center of the entire region. Currently, there are eleven colleges and universities in Yinchuan with around half a million students attending and in residence. In 2007 a total of 114,000 students graduated from educational institutes in the City. Tombs are located at two seperate locations at a distance of some 30 kilometers west of Yinchuan. Nearby stand the Twin Pagoda's of Baisikou or Baisikou Shuangta, another relic from the Tangut Empire. Many more monuments, landmarks, natural wonders and scenic places to visit can be found in the vicinity of Yinchuan. 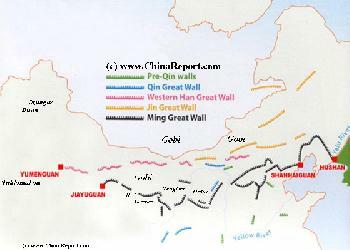 For centuries the Fu of Ningxia, current day Yinchuan, was protected by The Great Wall of China on three sides, the West, The North and the East, with the Helan Mountain range serving as a natural barrier against invasions and raiding parties from nomadic tribes that lived within the vast expanses of Mongolia and the Central Asian Steppes. Rooftop overview of some of the so called Old City area with the tops of Helan Shan ridge visible on the horizon in early August 2010. 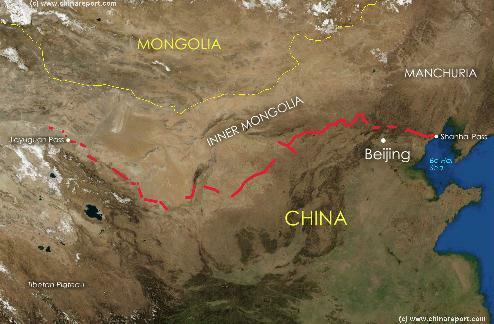 Wall of China leading directly out of the mountains into the deserted wastelands of the Tengger Desert in Inner-Mongolia. Although, soldiers no longer watch over the now largely ruined wall, much of the old situation remains as outthere within Inner-Mongolia lie only small settlements which find increasing difficulty to survive an era of deminished precipitation and increasing dust storms. Yinchuan's old city is one of the more interesting in China today. Not only can one visit the Bell & Drum-tower and spend hours dwelling the various Mosques and a few temples and their ancient Pagoda's, their is an exciting modern taste to life in Yinchuan as well. Other parts of Yinchuan are increasingly modern. Several Industrial Zones, mainly involved in mining and chemical industry are spread around the central 3 City Districts of Yinchuan. The Cultural Center of Yinchuan is the Old City, where especially South Gate Square (or officially Peoples Square) is the best place to enjoy one of the many ethnic cultural shows and performances. Yinchuan's main shopping area is located on Xinhua Street (新华街) or New China Street nearby. Apart from remnants and traces of ancient Cultures there's plenty of modernity to be found in- and around Yinchuan. Except for the many KTV (Karaoke) Bars spread around town, the are several bars and night-clubs with nightly performances. Especially summer evenings in Yinchuan need not be boring and many spend their hours on the streets until late. Scenes from the South Gate and Square on a typical summers Friday Night. The Square is one of the places in the Old City were the local residents come for entertainment, to eat, to shop and of course to be seen and show off. the world beyond, Yinchuan is fairly well off. There is one Kentucky Fried Chicken outlet, at least one Mc Donalds, several Coffee joints, etc. Modern styled chinese food chains, mainly noodle joints have taken off, although the traditional regional kitchen remains strong. There are several music stores available in the area surrounding the Bell- and Drum-tower giving local youth access to the latest Chinese music on DVD. Traditional music is also available, along with a wide variety of the latest pirated high-defination DVD and Blue Ray Films. Foreign films are easy to get in Yinchuan, which is not yet the case in every Chinese city. In addition there are at least two bookstores in town; Xinhua and a further Foreign Language Bookstore. Naturally, there is also the Ningxia Provincial Library (& Museum). Likely due to the many students of the Ningxia University who find their home in the city, Yinchuan is a city with a young and vibrant feel. A little bit of excitement and a sort of wild west quality is added by middle class Chinese who pass through Yinchuan on their motorcycles and in their SUV's on the way to Inner Mongolia, a rugged land without much inhabitation. Among these travelers rock music appears to be popular. Recently, in August of 2004 AD Yinchuan became the unlikely scene of a 3 Day Rock Festival, with fans from around the nation flying and training to Yinchuan to see their favorite performances. Dubbed the 'Glorious Path of China Rock'n roll' festival was held outside of Yinchuan at the foot of Helan Mountains. Although Yinchuan does not have the Night Life of modern Beijing, and certainly not Shanghai or Hong Kong there is a lively youth culture scene in Town. Rock Music and dark bars seem especially popular at the moment. Apart from the one Time Rock Event has its own yearly motorcycle event, held in June. Enjoying a Summer's Evening in Yinchuan at the Drum Tower Park (Photo's August 2010). The best time to visit Yinchuan is in late spring and early summer at which time the annual "Flowers Festival" (May and June each year) is held and the entire region is filled with an abundance of flower bearing fruit trees and other flowers. Summers are hot and can extremely sunny making long day tours exhausting. City Life in Yinchuan however is vibrant at this Time. In the autumn temperatures are comfortable and one can plan a visit during the yearly Yellow River International Cultural Festival (held in mid September) when the history and the many cultures of the Yellow River Basin are celebrated. One of the main destinations to reach from Yinchuan are the ancient ruins of the secondary Capital of the Tanguts, a once important city known as Khara-Koto (Heicheng), or Black City in Tangut Language. It is the only route to get there. Chinese Tourists are mainly attracted to Yinchuan by the Tangut Royal Tombs and the Rock Carvings of Helan Shan. Chinese motorcyclists and Off-road drivers prefer Yinchuan as a gateway into China's rough Western Regions in Inner Mongolia. Other travelers take it as a Base to visit the various sections of the Great Wall of China in Ningxia Autonomous Region. 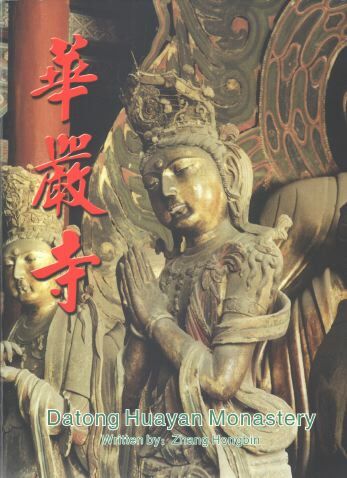 The Main landmarks within suburban districts of Yinchuan are: the Drum Tower, South Gate Square, the City Mosque or Nanguan Mosque, the Haibao Ta or North Pagoda and Temple which are situated 2 kilometers outside of the Old Town proper and The Ningxia Provincial Museum with exhibitions on both the long history of the region and the details and riches of the Hui Ethnic Culture. The Jian Hu and Zhongshan Park with its Jade Spring (Yin Hu) offer a great places to enjoy some of the city greenery and Chinese garden architecture. Beyond are several sites of the Great Wall of China and other treasures. Scenes from Yinchuan's peculiar South Gate, which has come to be a miniature Tian'AnMen Gate (Beijing complete with Mao Zedong portrait). It stands on the North Side of People's Square, officially the cultural ground zero of the City. Mule Carts as found in use on the streets of Yinchuan in summer of 2010. They do seem to be getting rare and few. Although they have now mostly disappeared within the city, farm animals are still occasionally used for transport into town and can then be seen on the streets. Today this is becoming an unusual sight. With luck one may come across a Mule Cart, a horse-drawn cart, or even a cow cart. Some mule carts can be seen peddling and selling large water-melons around the old town center. Most transport today however has been taken over by tractors, cars and trucks depending on load size. Local city dwelling youth seem to rely on scooters, with many of them parked scattered around the commercial center of the old town. Others make use of electrically driven bicycles to overcome the larger distances within the sprawling urban districts. 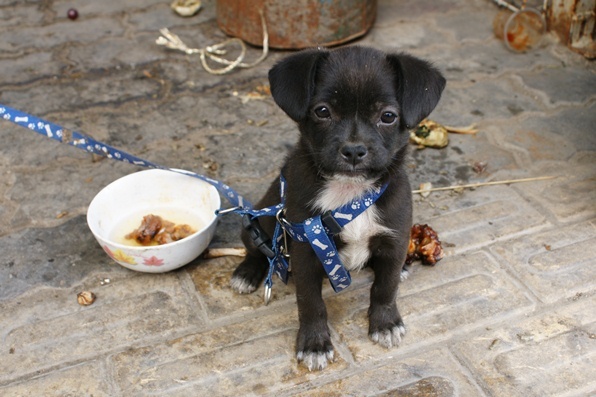 A small dog found with his bowl along what is generally dubbed Muslim Street. In the street behind the Nanguan Mosque various wares such as fruits and vegetables, but also household items are on sale. who keep a second house in Yinchuan or have migrated to run a business in town have no prejudices and a new influx of them means a new chance for dogs to conquer town. Last but certainly not least, modern day Yinchuan would not be the Capital of the Hui Autonomous Region without the strong imprint and cultural legacy of the Hui People. Their presence is all around and can first of all be recognized in the architecture of a wide variety of the Towns buildings, be they modern or of older origins. Apart from the obvious mosques of the old town and the ones that are arising throughout the new districts there are distinctive Islamic characteristics recognizable in Hotel buildings, office buildings, in the architecture of the Ningxia Provincial Museum and the adjacent Provincial Library and in uncountable others. The life blood of the cities culture of course is carried by its inhabitants, many of whom are of the Hui ethnic origin. Although they are seen around town and are often recognizable by their own traditional head dress, the men with skull caps, the women with a colored head scarf, people in full traditional dress are hardly seen around town. They only appear during traditional theatre shows and street performances, or come out during the all important islamic festivals. Nevertheless, the Hui culture and way of life dominate in Yinchuan, especially within the Old Town. The vicinity of the main mosque within Old Yinchuan, the Nanguan Mosque, is the focus of most of the Hui Culture. Here kebabs abound, most restaurants are run by the Hui, and street peddlers and store owners are often of Hui origin. Some shops offer traditional Hui or regional products, there are Hui Islamic necessities and music and prayers from Mecca and Xian, or cultural products such as copper and silver tea-sets in the distinct regional style. Naturally, at prayer times everyone passes by the various mosques, at which time the Hui can be observed during some of their religious traditions. The Old Town District of Yinchuan, especially the zone around the South Gate and the Nanguan Mosque definitely has the most ethnic taste to it. Spend at least one evening there or completely miss out on one important aspect of Yinchuan city life. and characters are interesting to observe. Farmers in Ningxia, as elsewhere in China, are distinctly different from city dwellers. Apart from this the farmers, fruit-sellers, wife's and children around a mix of races, among surpisingly many Han and seemingly few Hui Muslims. The Hui traditionally derive from traders on the Silk Road and hence, even today many of them are street sellers, store owners and bazaar merchants. Other Hui may be engaged in agriculture, however remain within their own local community outside of Yinchuan and hardly ever visit the city. The Landmarks & Monuments outside of the Urban City of Yinchuan have been listed on a seperate page. Please click through for Full Information and Photo's. 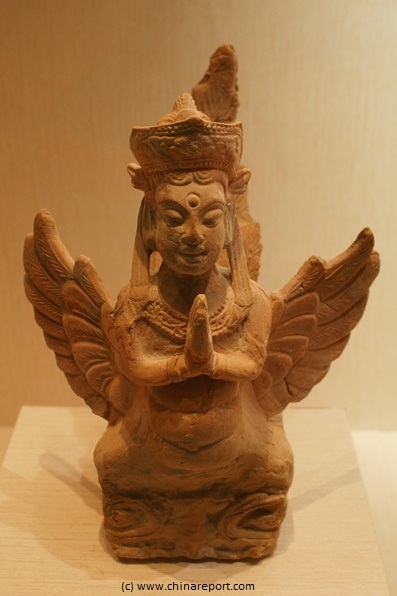 A terracotta earthenware statue of a Praying Apsarah (Buddhist Angel), dated to the Tangut Dynasty. Collection o/t Xixia Wanling Museum. Check the Railway Station and directions within Yinchuan New City (Xin Cheng). The new and modern section of Yinchuan is also known as Xin Cheng (New City) and is located near and due west of the Main Train Station. It essentially developed after 1958 AD when the opening of the Baotou to Lanzhou Railroad around the Yellow River bend finally unlocked Ningxia Region and an influx of immigrants and industries flooded the City. The New City is farthest away from the Yellow River and is in general the least interesting part of Town. It has spacious wide boulevards, blocks are large and the district is home to various educational institutes, hositals, upscale living communities and various heavy industries. This pretty much sums it up for Yinchuan New City. University, an assortment of other schools and some of Yinchuan's first single family Villa's. Many plots that appear as entirely vacant on recent maps are now being occupied by large appartments blocks for an obviously upscale class of Citizens from across China moving into Yinchuan for business and living. New shopping zones are being constructed to appeal to investors and buyers, who seem eager to join in the Bonanza and ensure their place within the new City. The Old City of Yinchuan (Ningxia Fu) lies at some 8 kilometers due East of the Station and the new City and is much closer to the Yellow River. Due to the fact that the Old Town is favored by all locals and also has the most authentic feeling, offering a variety of ancient buildings and structures to visit, most Tourists are drawn to the Old City. Most Luxury Hotels, the South Gate 'Cultural Square' , shops and even the Cities' Vegetable and Fruit Market are found in the Old City area. The Old City is the center of culinairy life, nightlife and the soul of the City. It is also home to the Long Distance Bus Station from which one can travel further West into Inner-Mongolia Autonomous Region.